This is eerily and disturbingly reminiscent of last June’s videoed Picasso attack at the Menil Collection (here and here). There was an incident at Tate Modern [today, Sunday] in which a visitor defaced one of Rothko’s Seagram Murals by applying a small area of black paint with a brush to the painting. 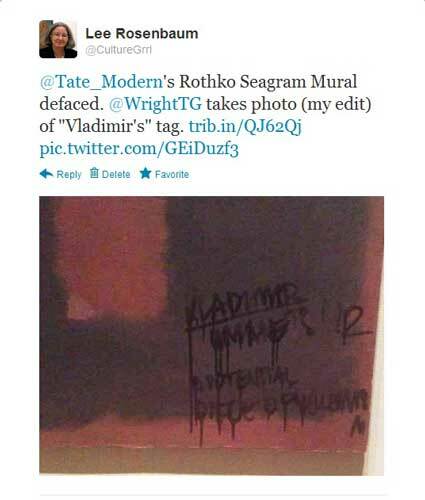 Tim Wright wrote [my link, not theirs] on the Twitter micro-blogging site that he witnessed the incident and posted a photograph of the damaged canvas online. The photo posted by Wright was too dark to be legible. With Photoshop, I made a “brightness” adjustment, revealing the vandalism in sickening detail. From the looks of this detail (lower right of the canvas). 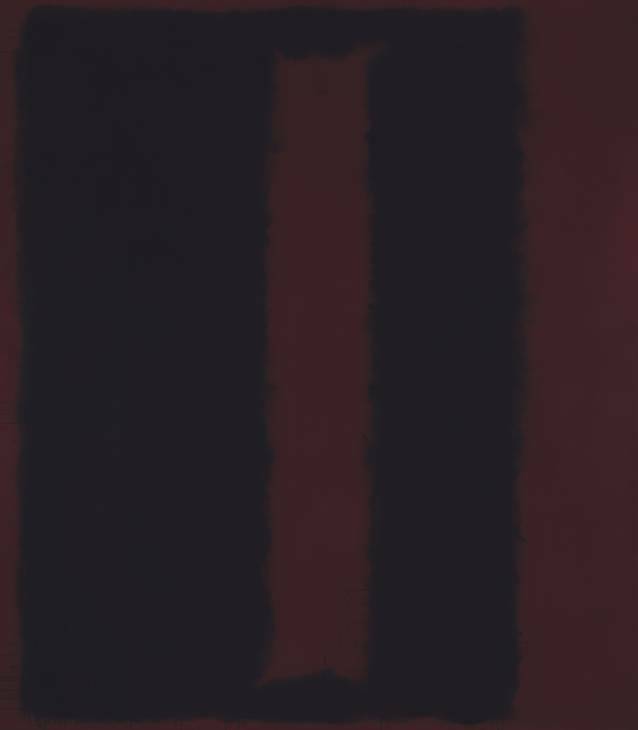 it appears that the painting (lightened in my edited image, above) is probably this one. The Associated Press has now reported on what the rest of the graffiti appears to say and suggests who may have been behind it. The perverse act of making a “statement” by defacing museum masterpieces has a long and deplorable history.